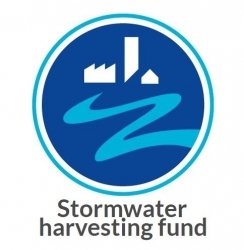 City West Water have recently opened applications for their Stormwater Harvesting Fund, which will co-fund stormwater harvesting projects for open spaces, parks and sports fields in their area of operations. The fund is one of the ways that the retailer is partnering to benefit the community and they're seeking impactful projects that will bring real liveability and environmental benefits to Melbourne's west and their greater service area. - Assisting to cool our suburbs by fostering functional green spaces that provide share and natural cooling. Funding of $100,000 and up to $1 million per project is available, and applications must at least match City West Water for every dollar contributed. The first round of funding is open from July 23 to October 12, and councils, developers and private organisations with 'shovel ready projects' are strongly encouraged to apply. Please visit the City West Water website for more information about eligibility, application guidelines and to submit an application.